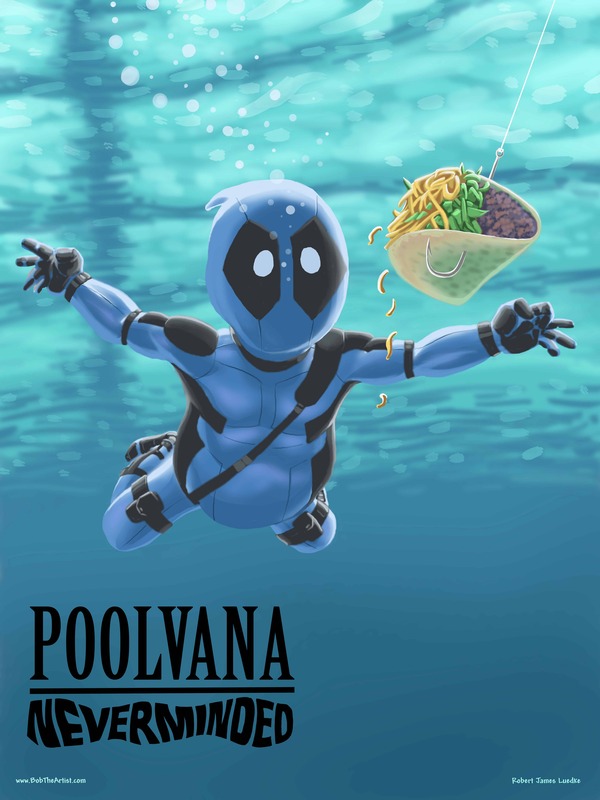 Another wonderful mashup parody illustration, featuring everyone’s favorite “Merc with a Mouth,” Deadpool being featured on a fictious version of Nivana’s classic album, Nevermind. Digital painting by Robert (Bob The Artist) Luedke. Available as an 18×24″ poster on 40lb poster stock. Ships rolled in mailing tube.